The sign hunters: in search of vintage Australian outdoor advertising | Daily Review: Film, stage and music reviews, interviews and more. Once viewed by some as mere marketing, vintage hand-painted and hand-crafted signs increasingly are being celebrated as fine examples of commercial art and design and important markers of Australian social history. 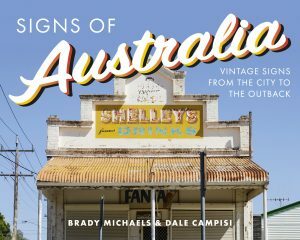 Brady Michaels and Dale Campisi spent a year on the road travelling the length and breadth of Australia looking for vintage advertising. 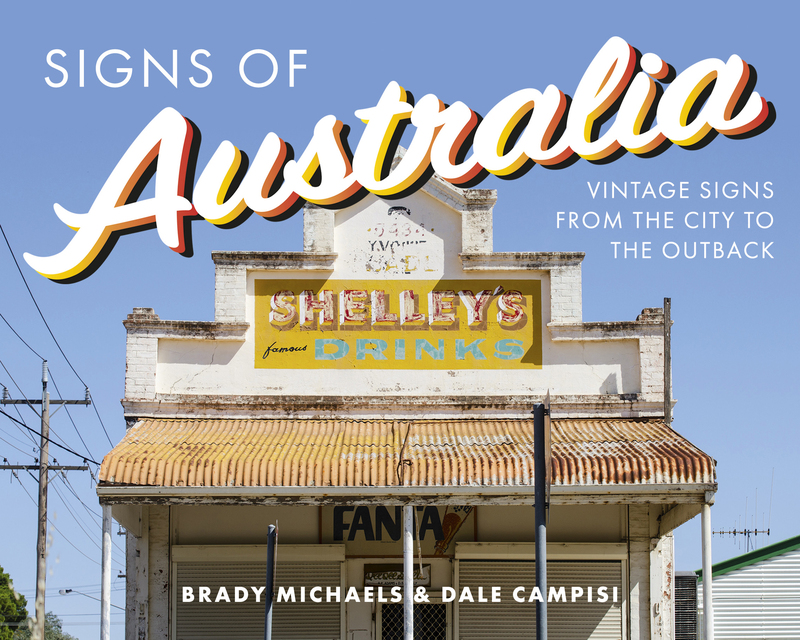 The result is Signs of Australia: Vintage Signs from the City to the Outback, a remarkably diverse collection of photographs taken by Michaels and accompanied by Campisi’s thoughtful commentary. Michaels, a photographer and illustrator, and Campisi, an author, curator and publisher, are partners in The Gents, a multi-faceted enterprise dedicated to reviving hitherto neglected aspects of Australian culture and history. The Gents produce a range of publications, exhibitions, tours and other ventures. 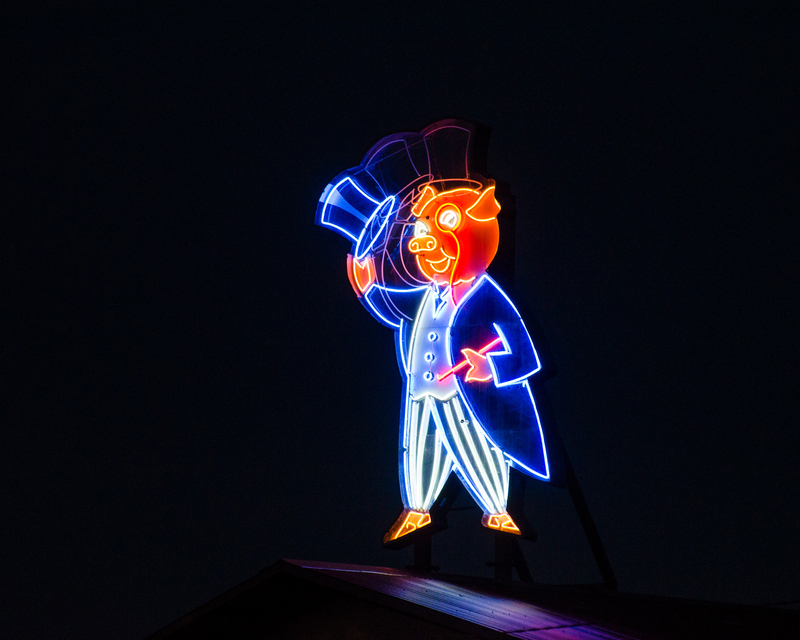 A few of the more famous signs in Signs of Australia – such as the Skipping Girl Vinegar animated neon sign in the Melbourne suburb of Richmond – have become heritage protected long after their utility in commercial terms has expired. 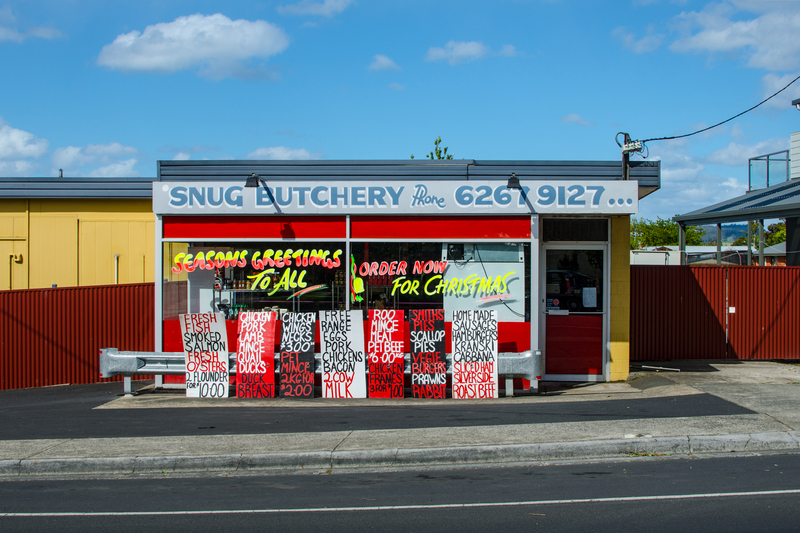 In terms of form, Michaels says the project brief for Signs of Australia covered everything “from hand-painted advertisements to 1980s neon and everything in between”. The book forms part of an international revival of interest in so-called ghost signs, which reappear as well as disappear as the walls of old buildings are demolished or else are exposed when the more recent building next to them is torn down. Recently, an entire wall promoting the now vanished Peapes men’s clothing store was revealed in George Street, Sydney for the first time in decades with the unrelated demolition of the 1960s office building next to it. There is a craftsmanship and authenticity about vintage signs that may be missing from today’s generic, digitally generated advertising. Michaels acknowledges that vintage signs were never meant to last forever. “That’s the nature of signs – they come, they go. But the ones that remain – because of preservation or simple neglect – tell us a story – or stories – about place and the passing of time.” That said, many pub and motel signs especially are still very much in use. 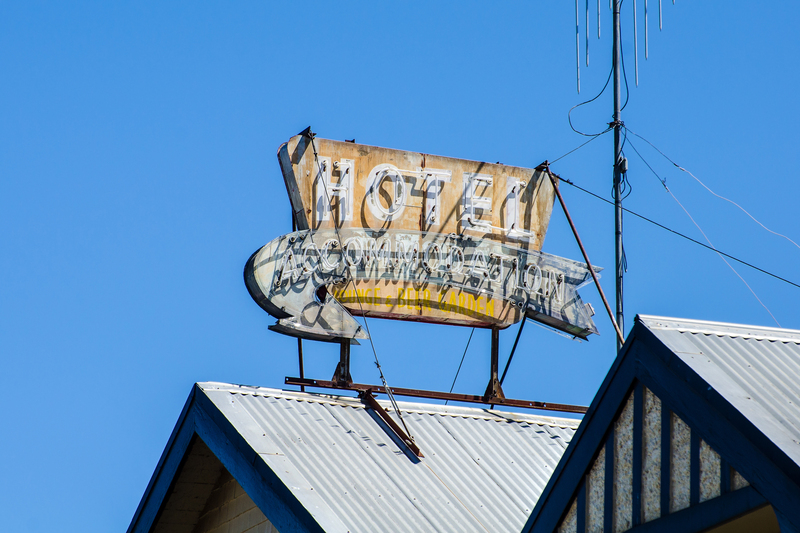 “We’d never been to Broken Hill before, and we had great hopes that this dusty town would prove itself to be a vintage signs hotspot. 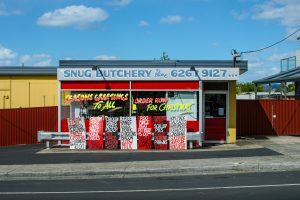 We weren’t disappointed.” In fact, the book’s cover image originates on a suburban street in Broken Hill at a classic Australian convenience store. Next Post OzCo opens entry to Venice Biennale to everybody – but what strings are attached? got any info on the large hand painted billboards of yesteryear Adelaide, S A. ??? Am remembering the Malbouro Man, etc, etc.